Dave Matthews Band (DMB) was started in 1991 in Charlottesville, Virginia. They created a new type of music that is a mix between rock, jass, bluegrass and hip-hop. DMB has been touring for twenty consecutive years. In 1997 the band won a Grammy for the song "So Much to Say." They have released seven studio albums and about 18 live albums. I was not a DMB follower until I attending a live show at the Gorge in George, Washington. Their witty lyrics and eclectic sound keeps me coming back for more. From the start to the finish DMB puts on a show that grabs your attention. The atmosphere and stage presence of the band makes the experience fun and exciting. This is a Youtube link to "Ants Marching," which is one of my favorite songs. It was released in 1994 on the album Under the Table and Dreaming. http://youtu.be/MNgJBIx-hK8. Another link from Youtube is to a more recent song, " Funny the way it is," which was released in 2009 on the album Big Whiskey and the GrooGrux King. http://youtu.be/Gwi4KpI_MgE. Pink Floyd is an English rock band that was founded in 1965 and reached the height of their success during the mid-seventies. 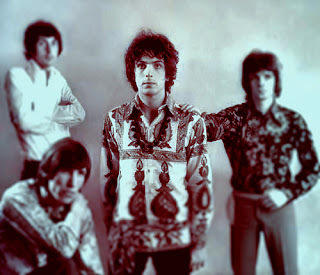 They focused on psychedelic rock which is historically used to enhance the use of psychedelic drugs. However, a person does not need to use drugs to appreciate their music and find meaning in their lyrics. I started listening to Pink Floyd when I was in high school. Since then, I have been able to relate just about all of their albums to a historical event or a specific event in my life. 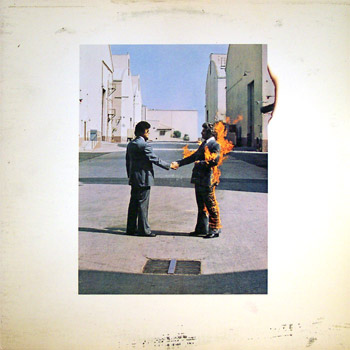 Around the web, Pink Floyd is held very high among the music community. One of the best websites that accurately portrays the bands history, influence, and meaning in their albums is Wikipedia. In addition to the band being musical artists, they were well known for their artistic and often meaningful album art. Many people have not seen this side of the band; however, I feel that their website is a good place to view their alternate side. The last link I would like to present is a website that is dedicated to posting current information on the band members past and present. It is also a great place to learn about tours, buy merchandise, and view photos and songs of the band. 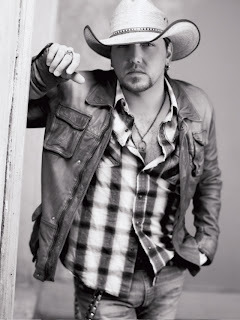 Jason Aldine Williams, professionaly known as Jason Aldean, was the first country music singer I enjoyed listening to. Growing up listening to rock and hip-hop, I never was able to listen to country music successfully. It was the start of a relationship and influence of friends that led to my resonance for Jason Aldean. Given a CD with a few of his songs, I found myself listening to more and more Country music. I found Jason compelling and worth sharing because writes music that is slow, easy to understand, and each song tells a story. Everytime I'm listening to his music, his stories evoke images in my head that are easy to relate to. He tells of times where he has had great experiences in life and then great hardship, both are times that we can all connect with. He is a country singer that experts say is modern with a unique style from any other Country singer. Overall, I feel his music is worth listening to for those interested in Country music and those uninterested in Country music that may need help finding a good starting artist. This first link is a link to his 2005 number one hit, "Why". This song is a perfect example of Jason Aldean's type of music. In the song he is telling a story of a relationship he was in and when listening to it you can feel the emotions he had for someone. My second link here is another example of his artistic ability in a more cheerful song he performs called "My Kind of Party". For more information, he has his own website. On his website, he has a full biography of background information, including his start up and motivations. Below is a link to his biography. From there it is easy to navigate through and see videos, photos, tours, or even purchase Jason Aldean clothing. By far Elvis Presley is my all time favorite artist. His work in music and film will forever live on. In 1954 he began his singing career with Sun Records in Memphis, his recording contract was then sold to RCA records in 1955 and then just one short year later he was an international sensation! His new and unique sound captured the hearts of millions as he combined his many musical influences and as he challenged the social and racial barriers of his time. Not only was Elvis a successful musician he was an actor as well. He starred in 33 films and had many television appearances. It was even stated in one of his interviews that throughout his childhood he wanted to be an actor more than anything. So congrats Elvis! You did it! The most amazing website you will ever come across in your entire life. This website literally has everything you would want to know about the King. It has anything from his biography to photos and quotes. There is even an online gift shop, if you feel so inclined. I hope you all will enjoy the wonderful human being that is Elvis Presley as much as I do. And although he may not be around to bless us with his talent anymore he will forever live on in many people's hearts.